What Careers Are Right for Me? What is a good career for me? I’m in high school and thinking about college. Thank you for the question, and I love it that a teen is asking! 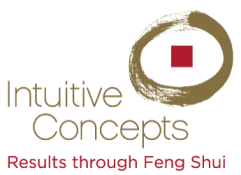 When you understand what your Feng Shui type is (Nine Star Ki calculator) and Chinese astrology (calculator), it helps decisions like these to be more comfortable. Let me first say that what I’m sharing with you is: 1) based on research — the people who responded said these are fields they enjoyed; 2) by the end of July 2012, we’ll have a membership area called Intuitive Concepts’ Learning Center (ICLC) which will have eBooks with this type of information. Meanwhile, let me answer it here. Based on your birth date and from a Chinese astrology perspective, you are a fire ox. Ox career choices are visual arts, medicine, archeology, real estate, farming, chef, and anything that requires skill with hands. Then from a Feng Shui perspective, you are Zhen (hardwood) – same as me :-). Career choices are management, planning, science, invention, design, sports, and entertainment. When the same theme appears in both — pay attention. Let me say that I am not a certified career counselor, and there are many other layers to consider (these are just two). I am, however, a Myers-Briggs instructor and encourage you to look at that too. Every class we’ve offered has sold out, and I was planning to take a break from it, but the universe says otherwise. Therefore, we’re looking to pull another workshop together in the near future … so stay tuned! Meanwhile, if you’d like to have a personal career strategy session, here’s a link to help with that.